Savoring the combined creations of bryson city artist charles heath and Hinnant Family Vineyards makes one thing as clear as a bottle of muscadine wine: the two make an impressive pair. The piece now adorns Moondance Magnolia, a white wine similar to Riesling. 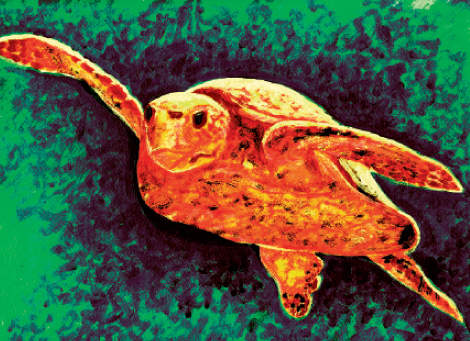 Loggerhead Red features a sea turtle gliding through blue-green waters, while Electric Pelican, winner of a silver medal at the 2011 San Diego International Wine Competition, evokes images of North Carolina’s coast. The next time you’re in Bryson City, stop by Heath’s gallery, where you can pick up a bottle; it’s a great way to support a North Carolina vineyard and artist.